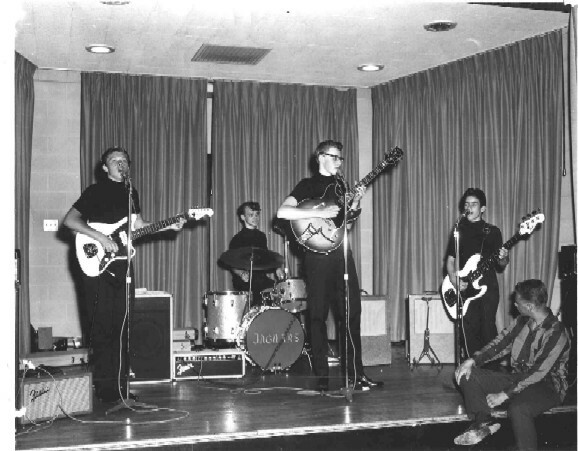 The band was started by junoir high schools student Jim Brickner (13 years old) on guitar and Roland Solomon (12 years old) in 1963. 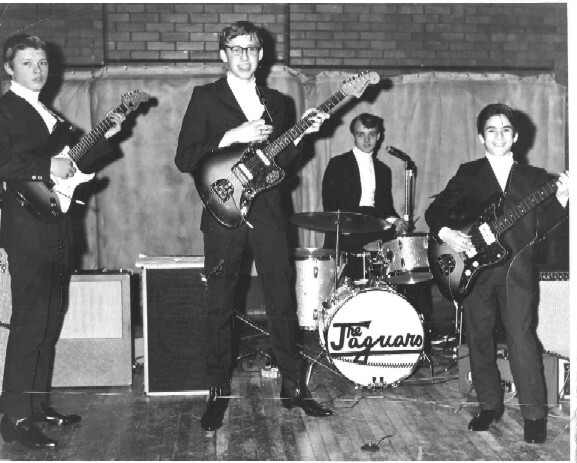 The original band, named the Jaguars after the car, included Jim, Roland, and Tom Sitzler (drums). Tom Kent (lead vocals, rhythm guitar) joined the band a few weeks later, and when Sitzler left soon after, Tom brought in Dale Zack on drums. Dale and Tom were from Middleburg Heights while Jim and Roland were from Parma. Roland was a natural talent with perfect pitch. The young band (13 and 14 years old) gained popularity quickly, thanks to their talents and energy in live performances. Before long the band was interested in recording, following the lead of the biggest band in the area, the Baskerville Hounds. So, they contacted the Hounds manager Jimmy Testa and he became their manager and got them recording time at Audio. The band's first session, June 1965, they recorded a cool arrangement of Little Richard's "Jenny Jenny", a Roland Solomon written instrumental, and "Laurie", a Testa composition. Testa always had pretty strong ideas on what records should sound like and he applied those production techniques to the instrumental, retitled "Russian Ho Ho". Testa pressed up a couple hundred copies of "Jenny Jenny" / "Russian Ho Ho" on his Tema label. The recordings are pretty raw, but in a good way! 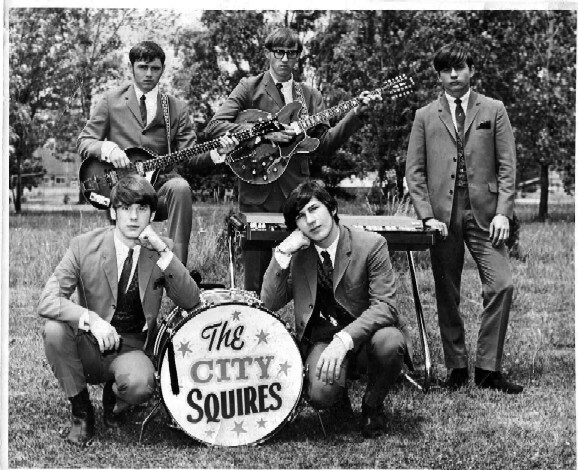 Along with the record release the band, with Testa's influence, changed their name to the City Squires. The record didn't get much action, but it gave the band some valuable recording experience and the ability to say they were a 'recording act'. The City Squires were playing the teen clubs all over town and getting a lot of attention. 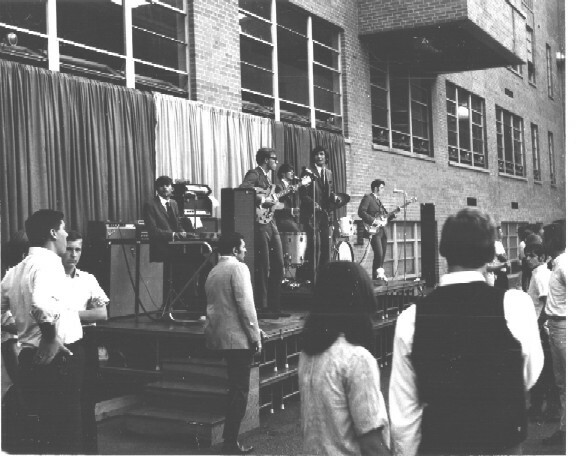 Testa and the band returned to Audio Recording in June 1966 and recorded three more songs, "Child of Our Times", "I Want Your Girl" ( both written by Jim Brickner), and "Parma Polka". "Parma Polka" was built on famed movie host Ghoulardi and his disdain for the town that was the City Squires home base, and over a rocked-up polka groove, the band interpolated bits of the current hits "Day Tripper", "Tiem Won't Let Me", and "Gloria" - substituting P-A-R-M-A for the G-L-O-R-I-A spelldown. PP was pressed onto an acetate coupled with "I Want Your Girl", and placed into Ghoulardi's musical library. Ghoulardi was on his out to Los Angeles, but his replacement the Ghoul (Ron Swede) gave the song plenty of spins, and top standing in the lexicon of "Ghoulardi Music" along with Tom King and the Starfires "Stronger than Dirt", etc. The acetate survived in the Ghoul's collection for years, with "Parma Polka" getting spins into the 1980s, and beyond, before it was passed on to a private collection. "I Want Your Girl" is a great garage rocker with elements of "Beg Borrow and Steal" and some nifty guitar playing by Jim. 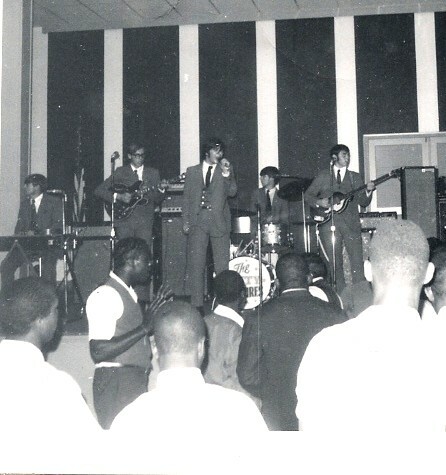 The outcome and intent of these recordings had fueled some disagreement between the band members about "direction", so in the fall of '66 the City Squires disbanded for a few months. Prior to this, Roland Solomon left the band, and Greg Burnett, from another Testa managed band, the Canterburys was brought in to replace him. Greg did not really know how to play bass, but faked it best he could to help keep the band going. Jim Brickner and Greg Burnett organized a new City Squires by hooking up with another Parma band, the Set LTD, and from that group Jerry Colvin (keyboards) and Gus D'Angelo (bass) joined, along with Bill McCracken (from the Canterburys) on drums. In the new City Squires, Greg immediately took to the band as their lead singer, sax player, trumpet player, and front man. The band retuned to recording, by this time both Jim and Greg were developing into quality songwriters. The band recorded "Is It Time", written by D. Rand, and "Lonely Boy" written by Jim Brickner. "Is it Time" is nice pop song with definite radio appeal, while "Lonely Boy" is a good teen ballad with nice arrangements and production. The 45 got some airplay on Cleveland stations and sold several hundred copies locally. The band made an appearance on the "Big Jack" (Armstrong) TV show where they were to lip sync "Lonely Boy" - as Jim Brickner remembers "we were 17 years old and scared!" - and even more scared when the show's producer started the record at 78 rpm! Big Jack let the record play as he wanted to see how long the band would keep up appearances. In the summer of '68 Jim Brickner had a brief arguement with a couple members, apparently over a PA system, and left for a few weeks. During this time the band got a gig at Cain Park and decided to try something different. Greg Burnett adopted the stage name "Pye Jones" (to this day he's not sure where that came from!) and the band worked up a 45 minute set of mostly original material. In the spirit of the Beatles' "Sgt Pepper" LP, Greg got the idea of naming the band the one time only "Pye Jones and the 28th Day Ragtime Band". The secret behind this name was shrouded in mystery until Greg revealed the monicker derived from a woman's menstrual cycle! Jimmy Testa decided he wanted to record this 'version' of the band so they laid down their Pepper-ized version of the standard "5 foot 2", and Testa wrote the flip side "I Go Crazy", similar to "Debbie" that he cut with the Baskerville Hounds. The band continued to record original songs that improved in quality and depth. In 1968 they recorded a set of 5-6 songs that they (and Jimmy Testa) marketed to several record companies. Included in these demos were "Dialated Eyes", a song by Greg Burnett that a lyrical snapshot of family decay that seems very real - although it's strictly from imagination. Another song, by Jim Brickner, was "Like A Man", a profound view of a lifetime expressed as days of the week. These sessions were done at Cleveland Recording, and included sax parts by Bob Bruno (from the Selective Service) and Greg Burnett. 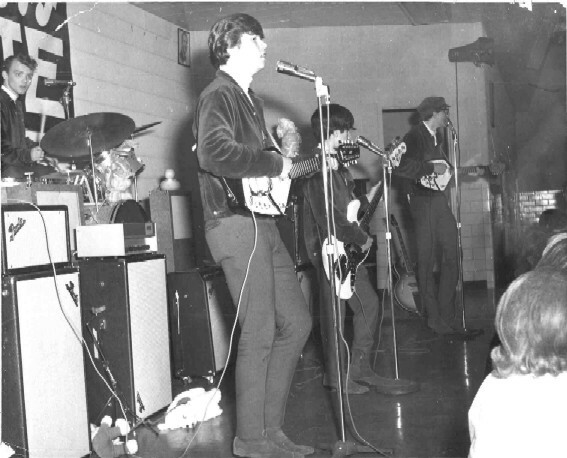 ABC records signed the band to a 4 single contract, with Bill Symzyck travelling to Cleveland to close the deal. The 45 was released, but Testa and ABC decided that the band should be named 'the Gregorians' - apparently believing names like "City Squires" were old hat by 1969. The band, of course, didn't feel any reason to change name so 'Gregorians' appeared on the 45 and never again. The band did an interview on the new WMMS-FM station to help promote the record. Although the record is excellent and unique, it was not able to break out and the group did not release anything else on ABC. 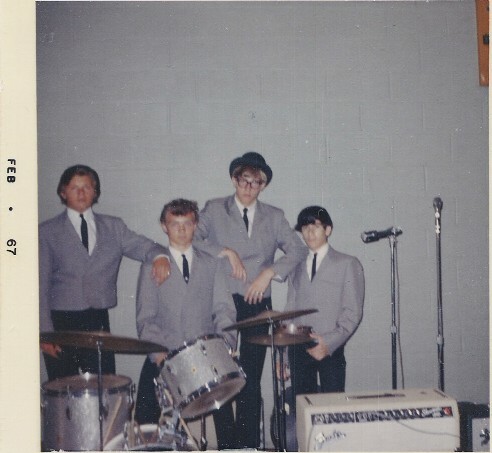 By this time the drummer was Bob Dillinger, who had joined the band in 1968 at the ripe old age of 15. Prior to Dillinger, Pete Naster had been the drummer for a while, replacing Bill McCraken. Those were the only personnel changes in the band. 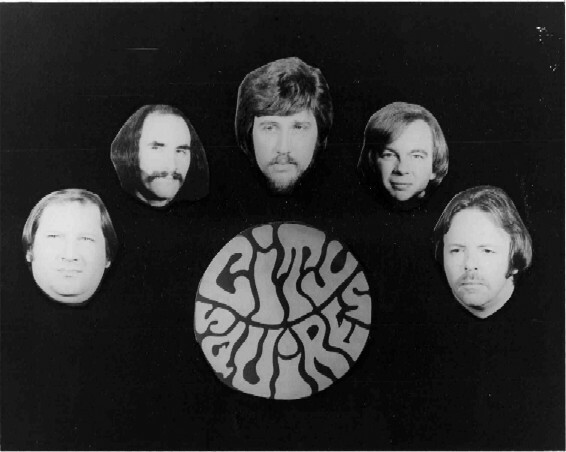 The City Squires reached the end in mid 1970, out of mutual agreement, as Greg Burnett joined the Air Force. Roland Solomon, after a few years playing bass in the Baskerville Hounds, reunited with Tom Kent in the band Raintree, with Bob Dillinger on drums. In 1979 the City Squires got back together, with Jim Brickner, Greg Burnett, Roland Solomon from the original band, with Doug McCutcheon (Baskerville Hounds) on keyboards and Tom Napier on drums. The reunited band played local clubs for a couple years, but did not record anything.